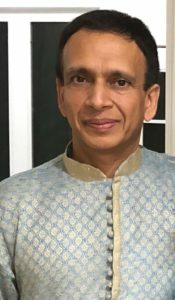 Brij moved to the US in 1995 as a student, and since then, has participated in various cultural events in Oregon State University, and at UNC Chapel Hill. He moved to Cary in 2000, and is currently living with his wife Nidhi, two young adults, Arnav and Pranav, and a dog, Wisky. He and his family has been an audience and also participated in HumSub, since its inception in 2001. Humsub gives him a reason to stay connected with his heritage and Indian roots, while being a part of the melting pot. Brij is a Biopharma/Finance professional. class="pirenko_team_member-template-default single single-pirenko_team_member postid-3168 samba_theme samba_left_nav samba_left_align samba_responsive ecwd-theme-samba wpb-js-composer js-comp-ver-5.4.5 vc_responsive"